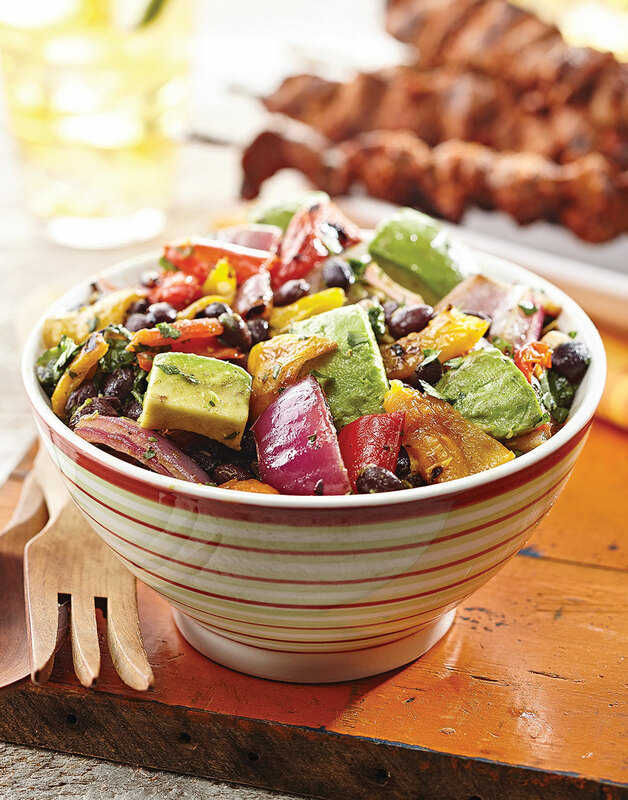 The perfect Mexican-style side dish, this grilled pepper salad with black beans, creamy avocado, and fresh cilantro pairs well with any smoky grilled main dish. Grill sweet peppers and red onion rings on all sides until grill marks appear, 2 minutes per side; transfer to a plate and let cool. Discard stems and seeds of sweet peppers. Chop sweet peppers and red onion rings.